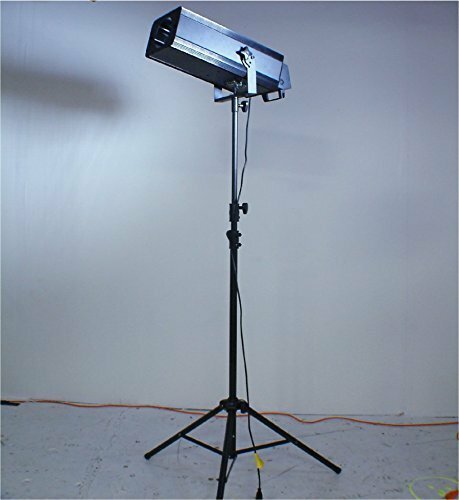 The Follow Spot 100 from Eliminator Lighting is a powerful 70 watt LED theatrical stage effect that offers multiple colors including Red, Yellow, Blue, Green, Purple, Orange, Pink and white. also full on and dimming controls. You can control both the colors and intensity manually with the built in push buttons or via DMX. 3 pin XLR in and out. Manual zoom and focus. No assembly required. Power Consumption 100 watts, 120v. 2 amp fuse.